Strikingly beautiful and flamboyant Moroccan themed rug is the missing masterpiece you need in your room. 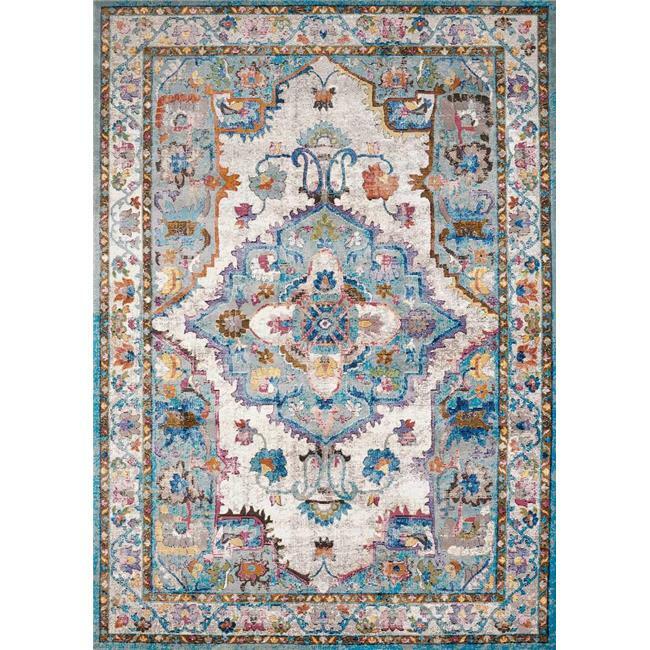 Vibrant blues, oranges, and pinks pop out against the natural light cream-colored background in this dazzling rug. The exotic design and vivacious colors will add excitement to your room decor.